Speaking before the Riigikogu on Tuesday, Prime Minister Taavi Rõivas provided an overview of the Estonian government’s EU policy, expanding on Russia’s continued warlike behavior, addressing calls for the creation of an EU army and stressing the need to explain EU policies to its people. 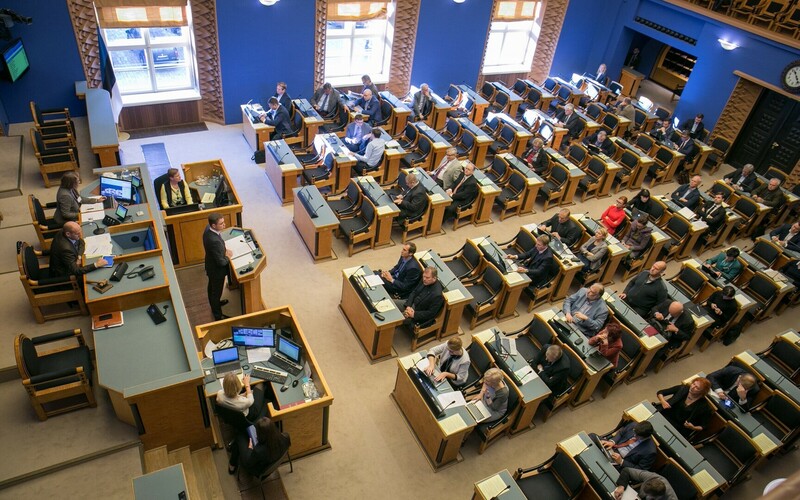 "Russia continues to wage war with undiminished vigor in Europe’s southern and eastern neighborhoods and, to be honest, in Europe itself if all methods of warfare are taken into consideration," Prime Minister Taavi Rõivas said before the Riigikogu on Tuesday. In light of this, the situation has begun to be described as a new Cold War, the prime minister said. “If the Russian leadership views the West as an existential threat, we really should not be surprised that the ends justify the means,” he added. Rõivas found that this has brought about a change in Western public sentiment, however. Rõivas also found that recent developments aimed at deepening defense cooperation within the EU were in Estonia’s interests. Estonia’s reaction should not be limited to the opinion that EU defense “should not duplicate NATO,” however. “Indeed, we shouldn’t fragment our efforts, but rather look at it as an opportunity, because it is possible to find areas in which the EU can add value to the work that is being done,” Rõivas continued. In his opinion, the creation of an EU army was not on the table today, and therefore there was no point in wasting time discussing it. “Let me remind you that NATO does not have an army either; its member states do,” Rõivas added. As the EU is faced with important decisions, the Prime Minister of Estonia found that these decisions must be explained more convincingly to its citizens. “We must explain the choices and decisions we’ve made more convincingly to the public,” said Rõivas. “We must look the truth in the face — not everything has gone well, and all problems cannot be solved overnight or at the European level. Like all political projects, the EU is constantly evolving. It’s not perfect, but it’s the best form of transnational cooperation we have. The Estonian prime minister found that the EU is not faced with a choice of “to be or not to be,” but it increasingly needs answers to questions concerning the how right its chosen path and previous cooperation have been.